Have you ever heard of the Bowdabra? Oh my gosh, this bow making tool needs to be in every crafty persons arsenal. I was lucky enough to have the ladies at the Bowdabra company send me one to review. It comes with an explanatory CD that is easy to understand. I was able to make some beautiful bows for my projects within minutes. When you think of making a bow do you think of all of the fun options? I didn't. I was amazed at the different types, sizes, and ribbons that you can use. 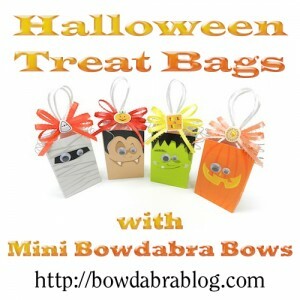 I can't wait to purchase the Mini Bowdabra to make some smaller bows for my girls hair clips, gift accents, and more. Please take some time to visit the Bowdabra site and tell them I sent you. 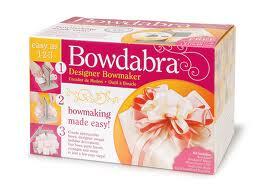 Want to purchase a Bowdabra product? 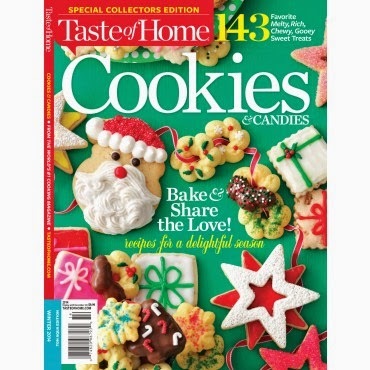 They are at craft and retail stores in your area. I saw one yesterday at Walmart. Enjoy the fun!! My first attempt at a fold and twist bow. 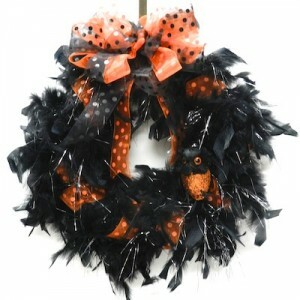 My first bow was added to my front door wreath for a Halloween accent. I couldn't stop....had to make a fun hair bow for my daughter. Got extra tulle? 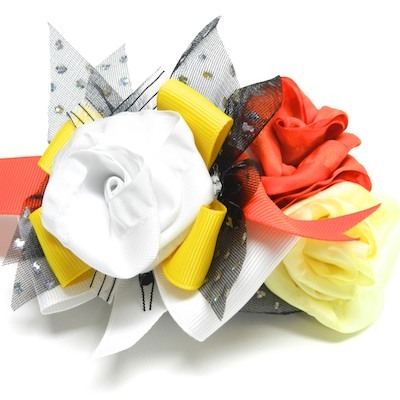 How about a fun scrunchy bow. It only took me a few minutes to create this fun tulle bow to put on a present. 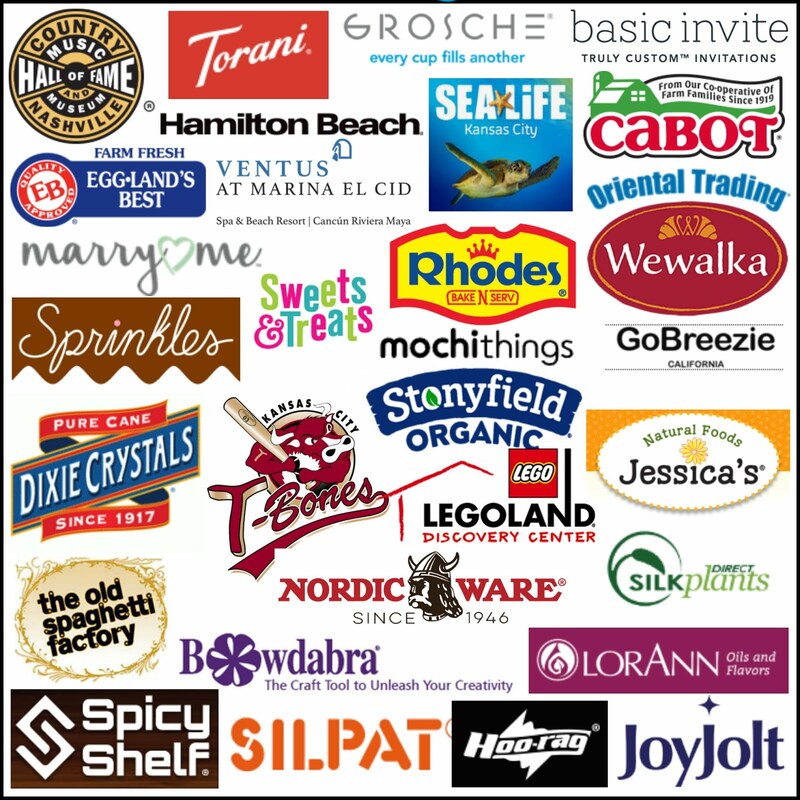 The following projects were developed by the Bowdabra team. I can't wait to try these too!! Great review! Thanks for linking it up in the Crafty Showcase, too! You post was the #1 most clicked so you will be featured tomorrow in the Feature Friday Post. Stop in Friday and see your feature. BTW your Pinterest button doesn't work. It is linking to a broken link. 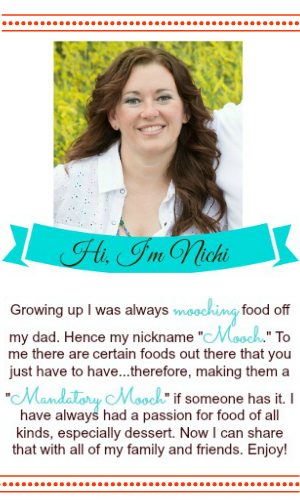 Your link should be: http://pinterest.com/mandatorymooch/ Tomorrow I will also invite you to the Bowdabra Feature Friday Pinterest board. We invite all of our Fea. Friday bloggers to this board. You can pin anything fun! Others will repin and so will we! Thanks for the review and we can't wait to see more!